Today's students learn in what Howard Rheingold called social mobs. These are "people who met online, most often through social media, to co-learn and peer instruct each other. They rely more on the collective wisdom than on any particular individual". Having good digital manners is a pre-requisite for members to build a reputation inside these mobs and to also develop learning ties that augment the learning potential inside these communities. Our students spend much of their time interacting on social media. It becomes part and parcel of who they are. But are they aware of the hazards looming in those spaces? Are they familiar with online code of ethics? Are they doing it safe ? What if their online identities are jeopardized ? How about those intimate photos they share? Do they know future job seekers would more than likely have a look at what they share on their social media ? The answer to these and several other questions lies within "digital citizenship". On the request of some fans of the Facebook page of this blog, I went along and created this infogaphic that I am offering here for free. The purpose behind this work is for you to use it in your class to teach your students about digital citizenship. 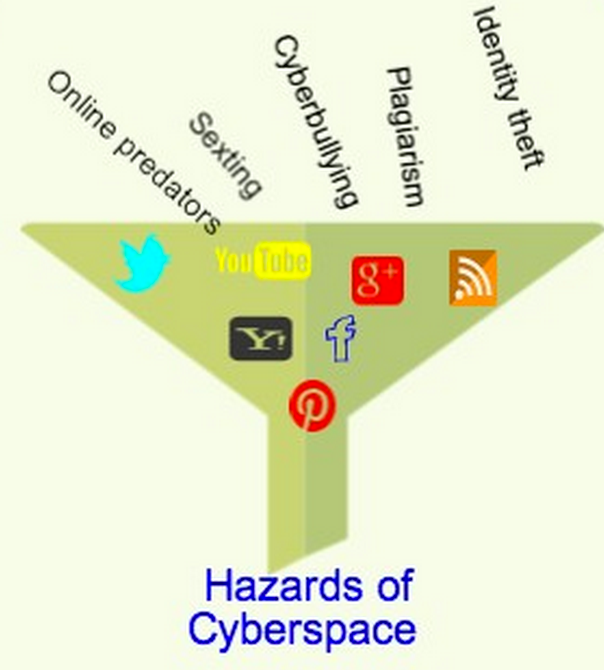 All the information included in this graphic is based on the the previous posts I have been sharing in the "digital citizenship section" in this blog and also on this wonderful book entitled "Digital Community, Digital Citizen".